Are you an Uber Eats or Starbucks lover? Well, you will be happy to know that Starbucks will soon offer Uber Eats delivery from more than 2,000 of their US stores. In early 2019 you will be able to get your favorite Starbucks latte on demand with Uber Eats delivery. 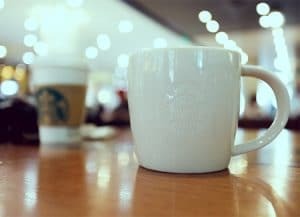 Starbucks has not announced price details or selections yet. Starbucks expanding into Uber Eats is not an entirely new idea. The company first piloted its delivery program in September, spreading rapidly in China with 2,000 shops already delivering through local services. The question now is whether Starbucks will find the same success in the US. With the combination of its popular name and Uber Eats’ considerable reach, the odds are in their favor.